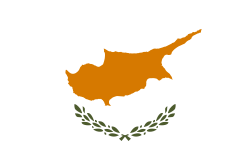 Cyprus made their Eurovision debut in 1981, and have participated almost every year with exceptions in 1988 (due to their selected song being ineligible), 2001 (due to relegation), and 2014 (due to financial issues). In the Contest’s voting, Cyprus are rather infamous for consistently giving their 12 points to Greece (a gesture usually reciprocated whenever both countries feature in the Final), the last occasion where they gave Greece anything less than 12 being in 1996. Cyprus’ debut entry in 1981 was the group Island performing “Monika”, and was a relatively successful debut by finishing 6th. The following year they did one better, with former Greek participant from 1980 Anna Vissi finishing 5th with the ballad “Mono I Agapi”, Cyprus’ best result to date. The result of the decade however saw a poor run of results, the low point being in 1986 when they came last with only 4 points. Cyprus did however score another top 10 result in 1987, when they finished 7th with “Aspro Mavro” (performed by Alexia). The 1990’s saw a mostly middling set of results for Cyprus, with a handful of top 10 results: in 1991 with “SOS” (performed by Elena Patroklou), in 1995 with “Sti Fotia” (performed by Alex Panayi), in 1996 with “Mono Yia Mas” (performed by Constantinos), before equalling their best result in 5th place with “Mana Mou” (performed by Hara & Andreas Constantinou) in 1997. Despite mainly poor results, Cyprus has scored a couple of top 10 results since the turn of the century: in 2002 with “Gimme” (performed by One) finishing 6th, and in 2004 when teenager Lisa Andreas equalled their best result in 5th with the ballad “Stronger Every Minute”. Since the introduction of the Semi-finals in 2004 where they qualified, Cyprus have only qualified on three other occasions: in 2010 with “Life Looks Better in Spring” (performed by Jon Lilygreen & The Islanders), in 2012 with “La La Love” (performed by Ivi Adamou), and in 2015 with “One Thing I Should Have Done” (performed by John Karayiannis).